IT'S HERE!!! Why am I excited? Because one of my all time faves, Tech N9ne, has released the newest single from his upcoming album, Special Effects, due in stores on May 5. The track, Speedom, has been in the works since late last year and there was concern that Eminem wouldn't finish his contribution in time, but he did and the result is phenomenal! In case you're wondering what the WWC2 stands for in the article title, it's Worldwide Choppers 2, the first being a posse cut off of Tech N9ne's 2011 album, All 6's and 7's, which featured the likes of Twista, Busta Rhymes, Yelawolf and other international stars. I suggest you peep those choppers (read: incredibly fast rappers) first and then come peep this. 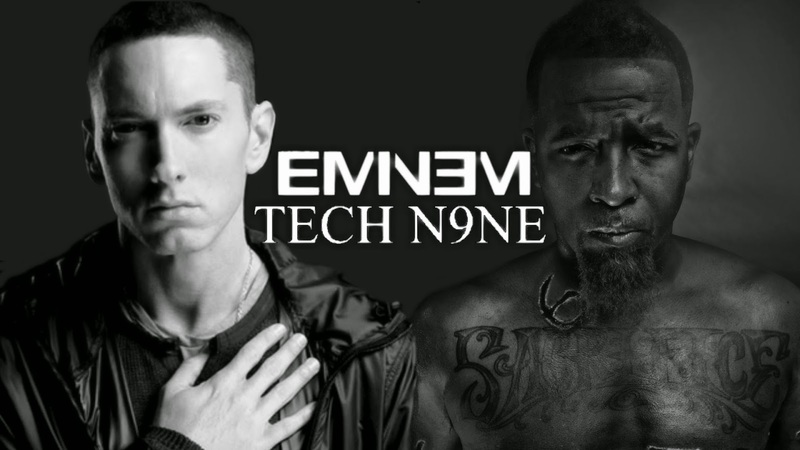 Although that track features nine talented artists, Speedom only needs three: Tech N9ne, Strange Music collaborator Krizz Kaliko, and the Rap God himself, Eminem. The track needs no intro, as it goes right into Tech spitting lines talking about how the track was set up by him and producer Seven. With no break, Krizz comes in and wrecks shop. If you're not familiar with Krizz Kaliko, get familiar. A hook later, Eminem comes in slowly stepping over the beat (well, slow by the song's standards) and then catches up with everyone else and, dare I say, surpassing them? I had to listen to the song a dozen times to truly catch the lyrics. If you're looking for Slim Shady, you won't find him here. This is pure lyrical speed and tongue dexterity here. Tech N9ne states in the song that there won't be another WWC, so I suggest you peep this track and get your fix now!